One of Kalev's final free agent moves this summer was to bring 20-year-old CSKA point guard Alexander Gavrilov over on a loan deal. One of Russia's most promising talents, fans should pay close attention this season to the youngster in Estonia. 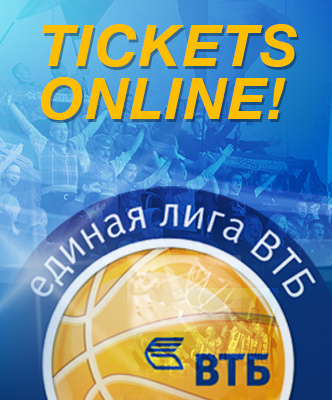 Exclusive for VTB-League.com, Dmitry Kolinov breaks down the move and Gavrilov's potential. 38 hours after a brutal Euroleague Top 16 game in Barcelona, where CSKA suffered a heart-breaking loss in overtime, Dimitris Itoudis's men had to take the court in Krasnoyarsk. It didn't make sense to have the entire team complete the 7,000-km trip, so the coaching staff left Nando De Colo, Milos Teodosic, Andrey Vorontsevich, and Kyle Hines in Moscow. That gave Alexander Gavrilov and Artem Vostrikov a unique opportunity and both made their pro debuts against Enisey. With 16 seconds to play, Pavel Korobkov committed an intentional foul, allowing CSKA to insert substitutes and regain possession. A few moments later, Gavrilov drove straight at Delroy James, earning a trip to the charity stripe. That's how he scored his first points in pro basketball and got fans talking about a new rising star in the league. Expect nothing less when a prospect plays his first minutes at Europe's top club. 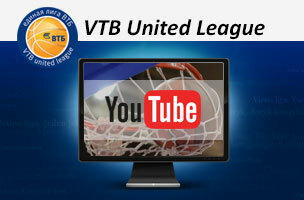 People who follow the VTB United Youth League know all about Alexander Gavrilov. As captain of CSKA-2, he won two championships, was named the top point guard at the Final Eight, made the starting lineup of the All-Star Game, and led the Youth League in assists. He's also played for national teams in various age categories. For top prospects like Gavrilov, making the right decision about the future is crucial. Should he try to crack the rotation at a big club like Mikhail Kulagin and Anton Astapkovich, or try his luck at a smaller club where he will get more playing time as Alexander Gankevich and Vladislav Staratelev have done? Sometimes, the first example isn't an option. A young player gets stuck too long in the youth league, outgrows the competition, and only makes his debut at 22-23 years of age. To compare, Andrei Kirilenko was starting for the Utah Jazz at age 20, defending against players like Michael Jordan, Kobe Bryant, and other legends. That's a unique case, of course, but every young athlete should strive to emulate the career of the current RBF president. Objectively speaking, Alexander Gavrilov would not have earned much playing time at CSKA this season, where he would be behind De Colo, Teodosic, Jackson, and possibly Kulagin. That's why a loan to another VTB United League club seems like a smart decision. Result: 3 seasons in the NBA, returned to Russia as Europe's strongest guard, earned title of top Russian player, and gained unofficial status as the VTB United League's most exciting player. Result: Returned to CSKA as one of the league's best defenders and is considered one of Russia's most improved players. 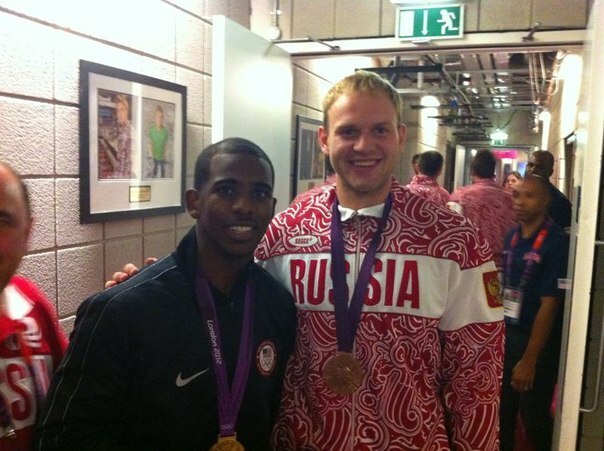 Result: Earned unofficial status as Russia's top point guard, won Olympic bronze, and, of course, a picture with his biggest fan. Alexander Gavrilov also has a terrific chance to return to his home club as a seasoned, experienced player. It's difficult to imagine a more interesting destination than Kalev. The team isn't loaded with stars and doesn't get much scrutiny from the media, but does compete in three different tournaments (the Estonians earned a bid to the Eurocup yesterday) with very different levels of talent. Head coach Alar Varrak is a believer in a big rotation and always finds a spot for young players. Under his leadership, Rain Veideman went from being a promising prospect to earning big minutes on the Estonian national team. Is Alexander Gavrilov next? At the start of the season, the 20-year-old point guard could be a major contributor in Tallinn. He had a lengthy preseason with CSKA, sharing time on the court with Aaron Jackson, so Alar Varrak will have no concerns over his fitness. Gavrilov has never had a problem adapting to new teams in the past. On the court, his playmaking talent is huge, while off the court he speaks multiple languages. He might even be able to beat out Estonian national team point guard Sten Sokk for a spot in the starting lineup, given his greater height and ability to run a team. If Alexander can be an effective point guard in his first full pro season, we can seriously begin discussing his superstar potential in the League and the promise of linking up with Kulagin on the national team. One has to hope it happens. The country and league need young stars and someone to step up and replace the veterans.